Sony is giving PlayStation 4 owners the ability to play their favorite games on Mac and PC. Its latest firmware update for the PS4, which will roll out to all tomorrow, introduces Remote Play for desktops for the first time — plus other new features. Remote Play isn’t new, but until now, it has only been available on small screens. It has also been limited to Sony’s own devices, like the PlayStation Vita and its Android-powered Xperia lineup, which aren’t ideal for playing full-fledged console games. As of tomorrow, you’ll be able to Remote Play on larger screens. With Sony’s version 3.50 system update for the PS4, users will have the ability to stream games to computers running Windows 8.1, Windows 10, OS X 10.10 Yosemite and OS X 10.11 El Capitan. 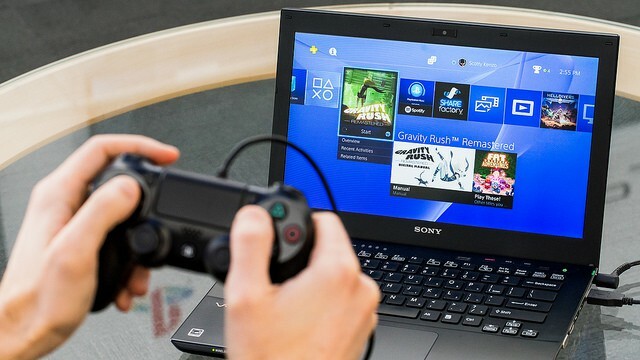 To play PS4 games, you’ll need to connect your DualShock 4 controller to your Mac or PC using a USB cable. You will also need Sony’s Remote Play Installer, which will be available to download tomorrow. Remote Play isn’t the only new feature to look forward to with version 3.50. Gamers will also get the ability to appear offline, receive notifications when certain friends come online, create scheduled events, and see what other members of their chat parties are playing. For more information, check out Sony’s announcement on the PlayStation Blog by following the source link below.